FAQ#11: What kind of damage is caused by divestment programs? At its heart, divestment is an attempt to import the bitterness of the Arab-Israeli conflict into a civic institution such as a college, church, city or union in order to leverage that organization’s reputation for the narrow partisan gain of divestment advocates. Historically, attempts to win a well known organization into the divestment fold are accomplished by maneuvering behind the backs of members (not to mention outright fraud, as at Hampshire). On several occasions, students, church members or citizens simply wake up one morning to discover their school, church or city is allegedly calling for a boycott of Israel in their name. Divestment advocates have proven themselves indifferent to the conflict and pain caused by asking a church, school or town to take an official stand on one of the most difficult, complex issues of the day. This is not to say that institutions do not have a role in making statements regarding current events, or that activists do not have the right to make request of the school they attend, the church they belong to or the city in which they live. But the cynical manipulation of civic institutions (not to mention the abuse of the language of human rights), including the bait-and-switch tactics associated with divestment, brings with it bitter divisiveness that can take years to heal. 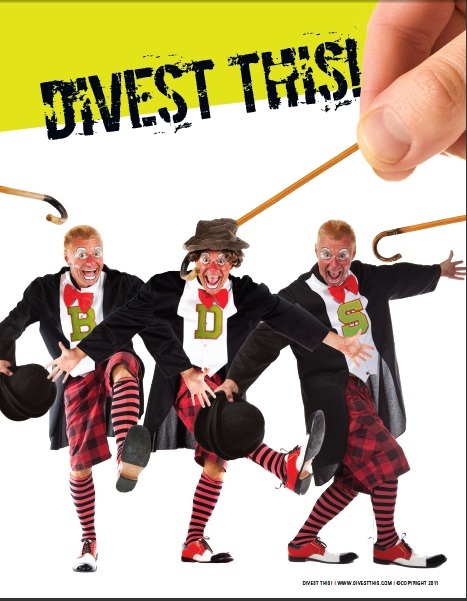 Divestment activists, with their single-minded objective to gain the support of a well-known organization – by any means necessary – time and time again fail to reflect on the damage they can cause in an attempt to achieve their aims.